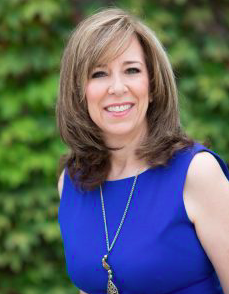 "There has never been a better time for a professional woman to step into her own light, to find her voice and to claim her true value and worth"
With over 20 years of experience working in a strategic marketing and business development capacity, Rhonda Moret is viewed as a true holistic marketing expert. With direct hands-on experience working in all areas of the marketing discipline -- from branding, strategic marketing, and design, to digital marketing, special events, public relations, and as a result of her comprehensive knowledge base, Moret is frequently retained by organizations seeking short-term marketing initiatives which ensure long-term results. 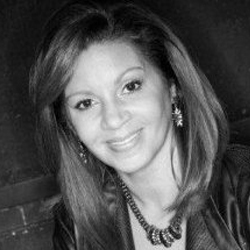 Her work has garnered her media attention and has been interviewed by The Washington Post, Adobe’s CMO.com, The Business Journal, USA Today, and several other publications. Moret has worked with or for some of the world’s most recognized brands including Universal Studios, Subway Restaurants, Nike Golf, the PGA of America, and the PGA TOUR. Moret has also worked with several high-profile individuals including PGA great Tiger Woods, tennis legend Billie Jean King, NFL Hall of Famer Kurt Warner, MLB Hall of Famer Randy Johnson, New York Times bestselling author Robert Kiyosaki, and yes, even Donald Trump (President of the United States). 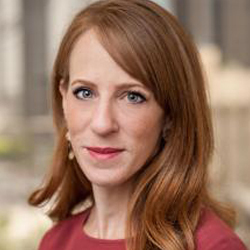 Megan Karsh is an expert in negotiation and organizational leadership with experience teaching, negotiating partnerships worldwide, and directing a wide array of organizations. She has conducted trainings and provided advisement to organizations including Google and the United Nations, on the topic of negotiation and gender, collaborative teamwork, and salary equity. Karsh currently teaches negotiation and leadership at Stanford Law School, where she also served as the Executive Director of the Rule of Law Program, designing and implementing projects in Afghanistan, Iraq, Cambodia, and Rwanda and managing a $7.2-million grant from the U.S. Department of State. Also, as the Vice President of Initiatives at the Pacific Council on International Policy, she designs programs and cultivates strategic partnerships to impact foreign policy. Megan holds a J.D. from Stanford Law School, where she was a fellow in the Stanford Center for International Conflict and Negotiation, and graduated Phi Beta Kappa with a B.A. in Art History from Oberlin College. She has lived and worked in Sub-Saharan Africa, SE Asia, South Asia, and the Middle East but is very happy to call Echo Park home since 2017. 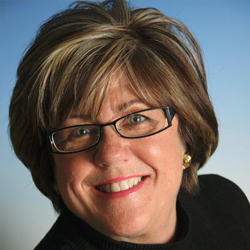 As a recognized expert in the public relations industry, Patty is a sought-after media personality, speaker and business spokesperson who often addresses the topics of PR, crisis management and economic development issues on television, radio, and at local and national meetings and conferences. Among her many media appearances are the front page of The New York Times (with Former President Barack Obama), CNN, ABC, NBC, CBS, FOX and FOX Business Network. As a regular contributor on FOX Business Network, Patty has been named to the Small Business All-Stars broadcast team. She currently chairs the Raleigh chapter of the American Friends of the Chateau de Compiegne, as well as serving as Vice Chair of the national organization. She is a Trustee of the North Carolina Symphony, serving on the Executive Committee and has chaired the Symphony Gala and Friends of Note events. Patty is on the Board of the Triangle Land Conservancy. Eldonna Lewis Fernandez dispenses negotiation, leadership, and communication training to corporate clients and small business owners internationally. Her business is built on a 23-year career as a contract specialist in the Air Force, where she negotiated hundreds of millions of dollars’ worth of domestic and international contracts – everything from pens and paper to office machines, automotive parts and aircraft maintenance. After retiring from the Air Force, Eldonna spent 10 years as a contracts administrator, negotiator and systems analyst for aerospace companies such as Raytheon, Sparta and Parsons. She worked with Raytheon and the U.S. Navy on the F-18 Radar program, and with Sparta and Parsons on satellite launch programs for the Space and Missile Systems Center at Los Angeles Air Force Base. .
Today, her corporate workshops and keynotes cover a variety of topics – everything from negotiating skills to communicating effectively and becoming a self-leader, which she defines as “asking for what you want, and owning the power to stand up for yourself.” The award-winning speaker and author is one of 81 Toastmaster Accredited Speakers worldwide. She enlivens every keynote, workshop or breakout session with experiential participation, games or simulations. “You remember it because you’re experiencing the information rather than passively listening to it,” she says. Eldonna has written two books: Think Like A Negotiator ~ 50 Ways to Create Win Win Results by Understanding the Pitfalls to Avoid andGoPINK Rules of Engagement: 5 Foundational Principles for Taking Control of the Handlebars of Your Life. She also co-authored Heart of a Military Woman, a compilation of stories by, for, and about military women. Among her many media credits, she has appeared on ABC, CBS, NBC, Fox Business, Fox News and CNN, and been published in The New York Times, The Washington Post, Forbes and The Huffington Post. Allison Bills is best known for her roles or appearances on top shows including The Mindy Project, Shameless, and Superstore as well as countless television spots (see link below), but she is also recognized as one of the most proficient talents in improv today. Over the past few years, she has brought her skills and talents to boardrooms across corporate America. She finds that through the use of improv techniques, she is able to help business people connect at a much deeper (and usually more fun!) level. Claim your value by developing your professional currency.